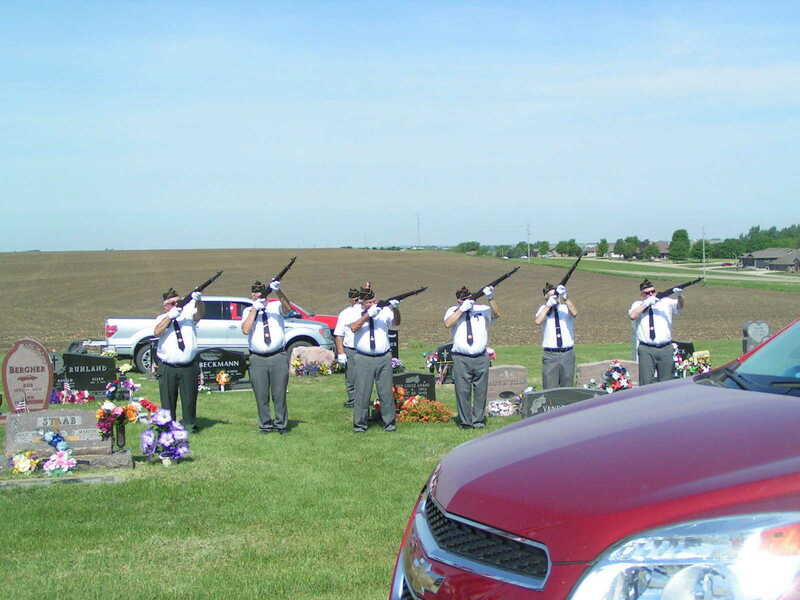 VFW and American Legion members took part in the 21 gun salute after all 363 names and 12 new names were read in the role call in honor of those veterans who have passed away. 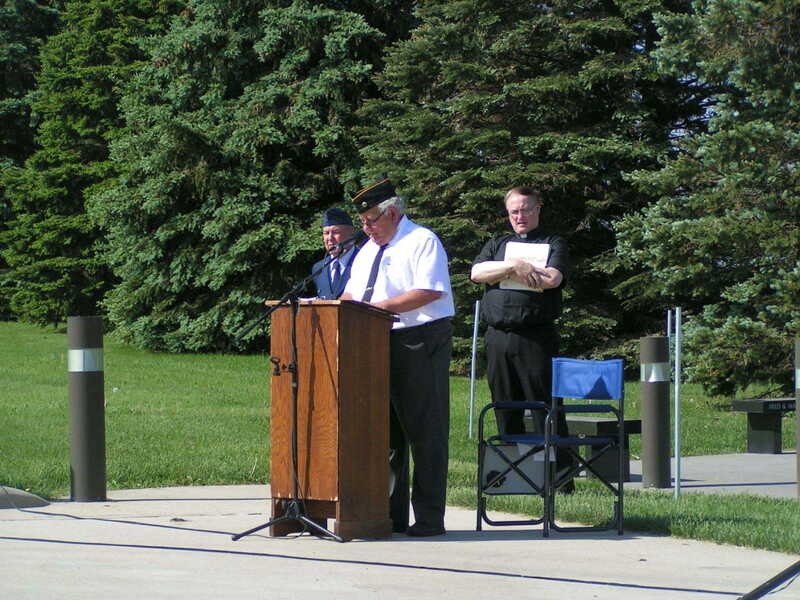 Bob Gengler had the honor of reading the names for the role call. 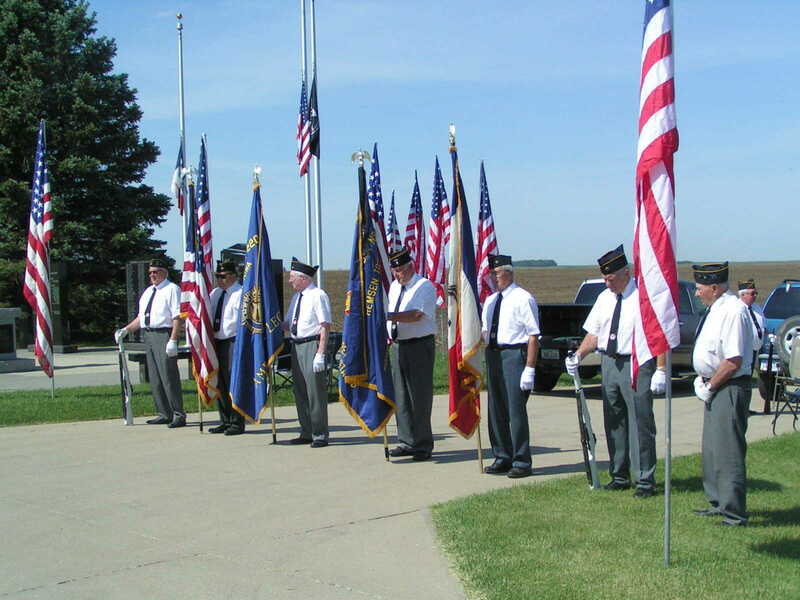 The Color Guard from the American Legion and VFW get ready to do their part of the program. 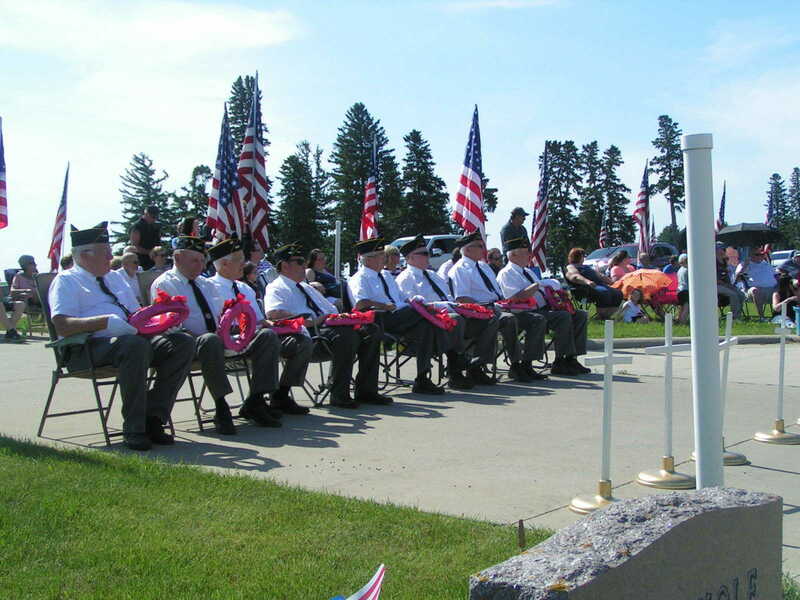 Members of the VFW and American Legion that took part in the wreath presentation take a seat before their part of the Memorial Day Program on May 28. 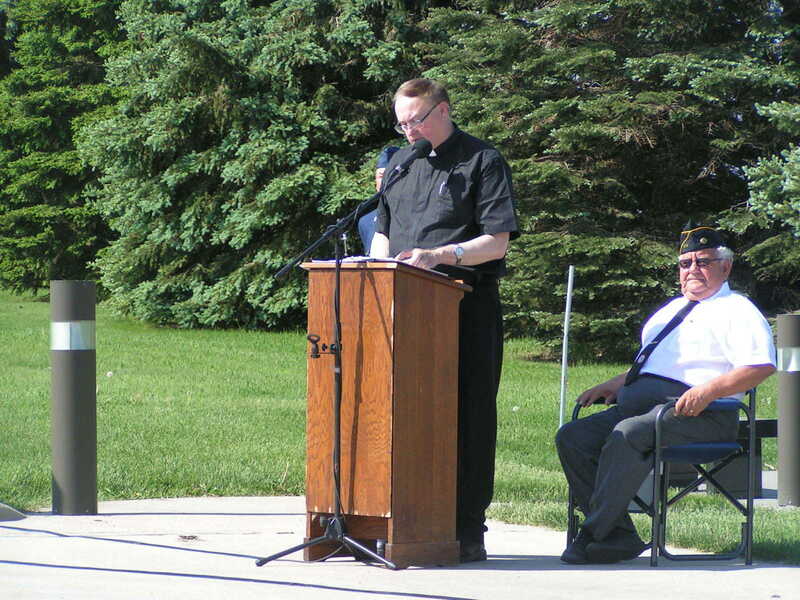 Father Bill McCarthy, representing St. Mary's Church, gave the Invocation, Main Address, and Closing Prayer during the Memorial Day Program. 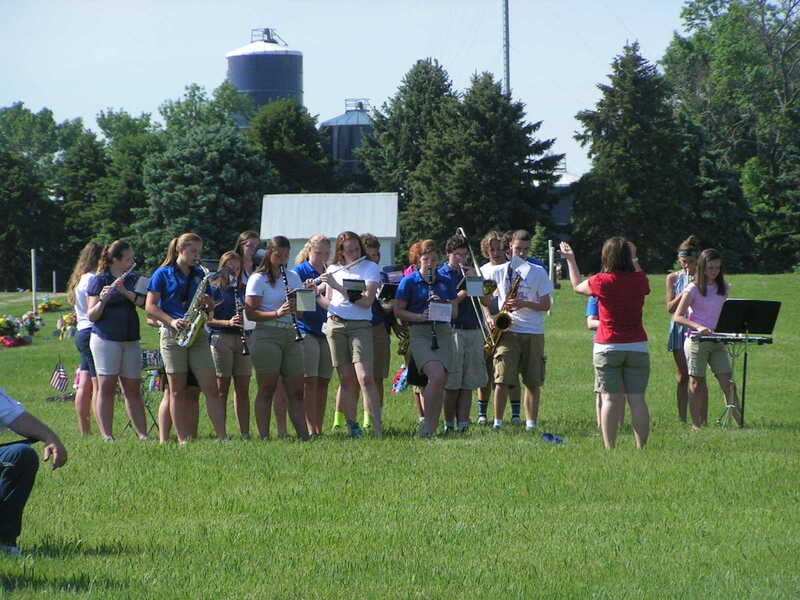 The St. Mary's Band, directed by Miss Steph Niewohner, played two pieces during the Memorial Day Program. 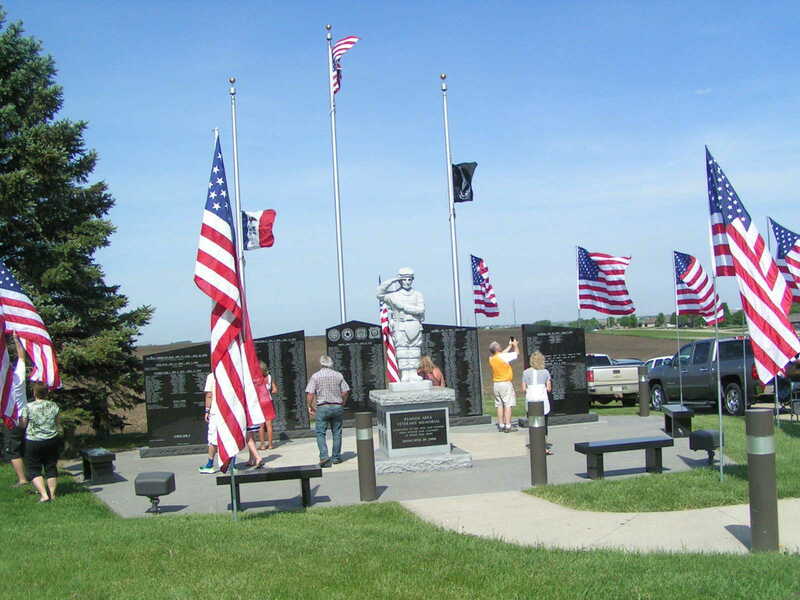 Family members and friends went up tot the Veterans' Memorial to get a closer look at the names. 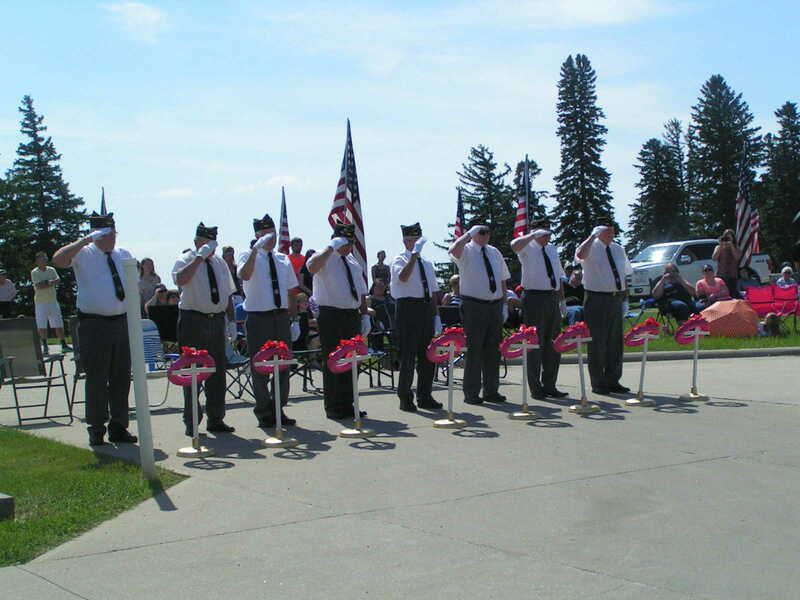 Eight of the VFW and American Legion members placed a wreath around a cross to honor the fallen veterans of the seven wars and the Middle East conflict and salute them at the Memorial Day program on Monday, May 28. Wars represented include: Spanish American War, Civil War, World War I, World War II, Korean War, Vietnam War, Persian Gulf War, and Middle East Conflict.